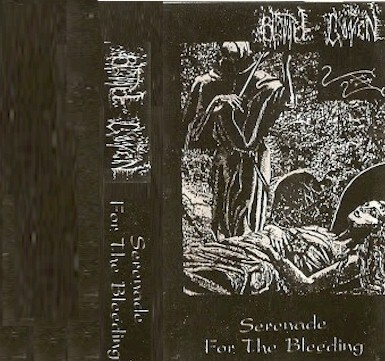 Blood Coven originally formed in late 1993 by Dann Saladin (guitar and vocals). 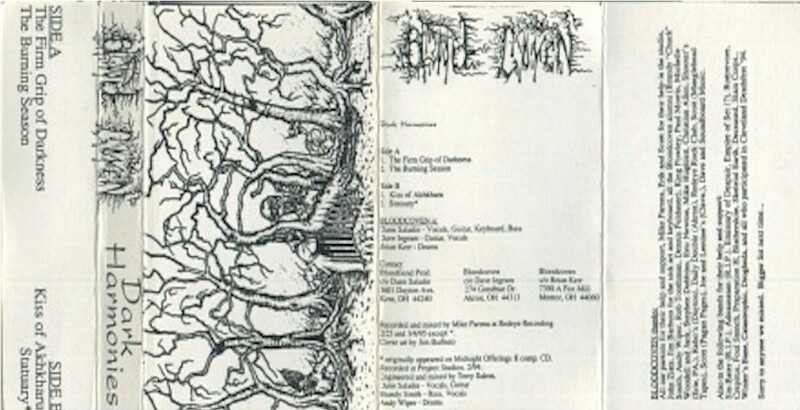 In 1995 The Dark Harmonies demo was recorded with guitarist Dave Ingram and drummer Brian Kerr. 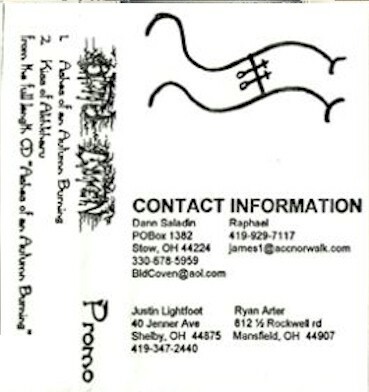 Jason Woolard joined on bass guitar in late 1996 and this lineup recorded the "Ashes of an Autumn Burning" CD, which was released in 1998. The years 2000 and beyond saw a few PROMO Cd releases as well as other full lengths. Pro printed covers. 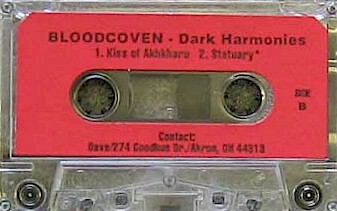 The first batch of tapes were pro printed while the second batch had stickers on the shell (see below).